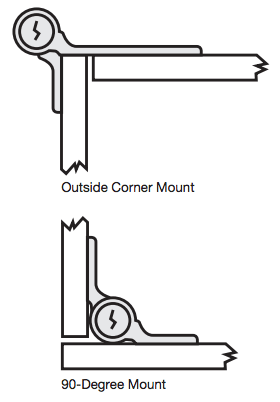 Besides flush mount, TUFLOC® Locks can accommodate a corner 90-degree mount (left/right) or an outside corner mount. 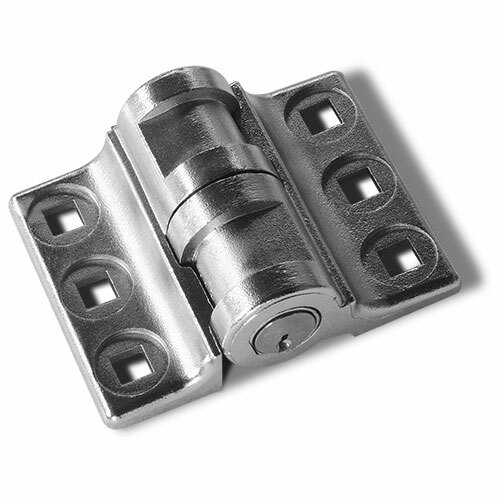 For best results, mount TUFLOC® Locks on the strongest part of the unit with the key in the down position. A simple twist of the key releases the central bolt and unlocks the Tufloc lock. No loose parts to misplace. Keyed cylinders can be easily replaced. 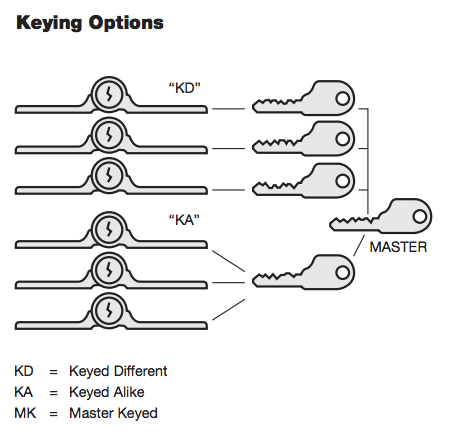 Key can be removed in either the locked or unlocked position. Key removable in only the locked position is an available option. Different keying options are available. Can be welded or mounted using the special bolts, which are provided. Versatile design provides a variety of mounting positions including: inward, outward, double-swinging, sliding and roll-up doors. Solid surface mounting without vulnerable hasp, chain or exposed shackle. Installation hardware and easy instructions provided. Features Medeco® high-security cylinder, supplying more than 250,000 non-interchangeable combinations for a five-pin tumbler cylinder and four levels of key availability. Spin-free carbide rod in bolt resists sawing. 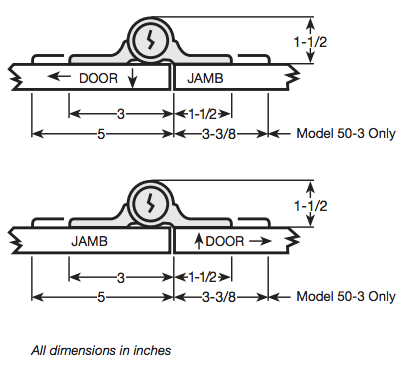 Special pins in face of cyclinder lock provide additional drill resistance. Recessed carriage bolt holes resist tampering. Special key available to deter unauthorized key duplication. Saw attack takes longest of all ASTM-tested locks. Investment-cast from 304 stainless steel to resist sawing, drilling, chiseling, hammering, and corrosion. Supplied with six high-strength, grade-5 carriage bolts. 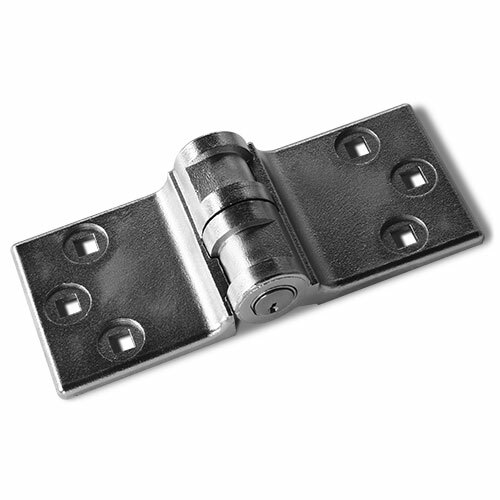 Stainless steel central bolt provides additional corrosion resistance. Attractive electro-polish stainless steel finish.